For Baselworld 2016, NOMOS Glashütte presents the square NOMOS classic timepiece, the Tetra Neomatik for men. The watchmaker made the watch larger, thinner and with an automatic movement. Equipped with the DUW 3001, this Tetra Neomatik is billed as a golden opportunity for people who didn’t get their hands on last year’s sold-out Neomatik series. DUW 3001, the caliber in these watches, measures only 3.2 millimeters in height and is thinner than almost any other movement else in the watchmaking world that self-winds and is produced in a series. NOMOS has improved the movement’s tolerances and increased its efficiency. 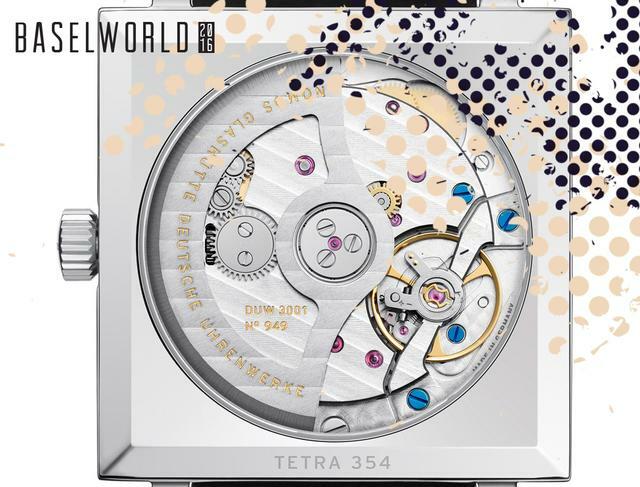 With DUW 3001, the Tetra Neomatik is slender and highly precise. With its 33-millimeter edges and an updated dial, this timepiece is sportier, more modern, and to many eyes more masculine than the hand-wound versions. Tetra Neomatik comes in two versions: one with cyan blue accents on a whitesilver-plated dial and the other with matching green details on a deep blue dial. In contrast to the watches in the first edition, the Neomatik logo on both models’ dials is gold, rather than neon-colored. 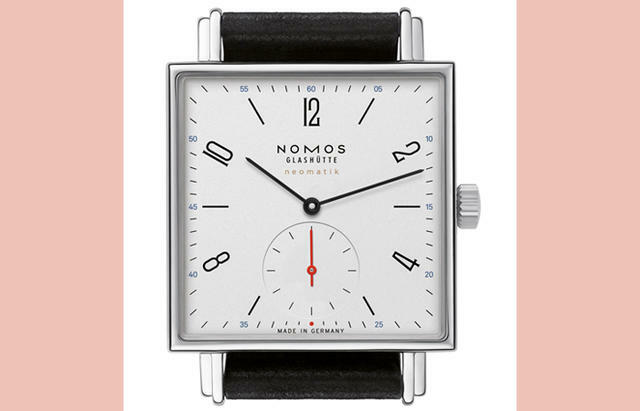 The dial and entire watch is unquestionably NOMOS and appears to be a timepiece out of the Bauhaus movement. The numerals are extremely legible, and the blue dial is a welcome color option from the German watchmaker (pictured above). Although the design is minimalistic, what shines through is the watch’s functionality as an everyday wristwatch. The Tetra Neomatik and Tetra Neomatik Tiefblau (deep blue dial) will be available from retailers in Spring 2016. 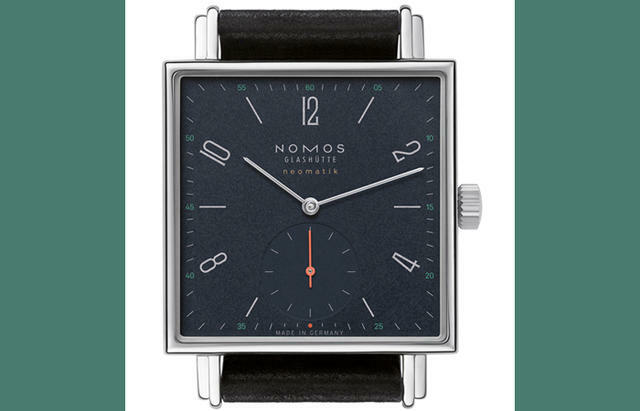 Retailers carrying NOMOS in our LWR include Govberg Jewelers, Shreve, Crump & Low, Topper Fine Jewelers, Little Treasury Jewelers, Morays Jewelers, Wempe, Oster Jewelers and Windsor Jewelers. 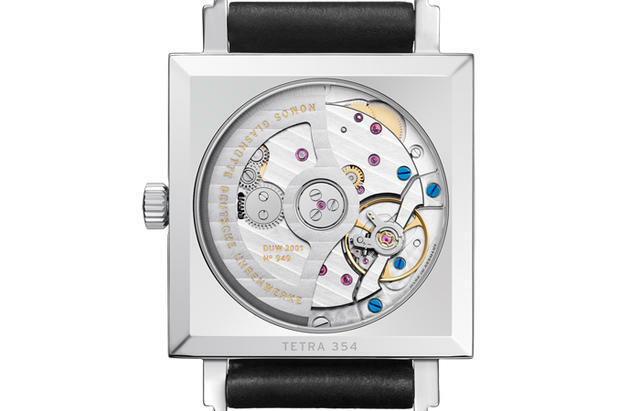 TheTetra Neomatik is priced at $3,860 and the Tetra Neomatik Tiefblau is $3,980.